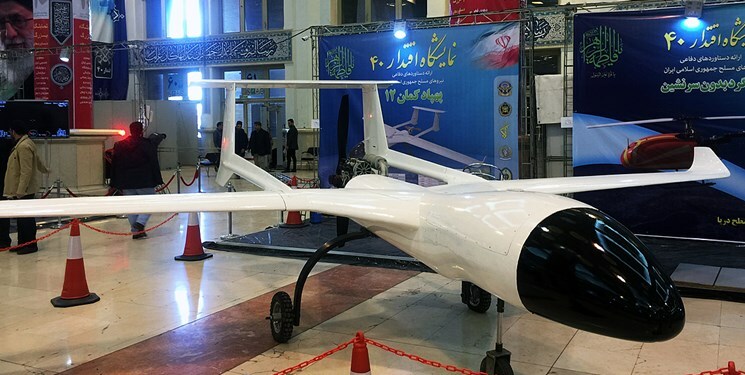 Iranian drones Kaman 12 and Shahed-171, designed and built by Iranian specialists, have been unveiled in an exhibition of military achievements, held in Imam Khomeini Musalla. Eghtedar 97 Defense Exhibition is underway in Imam Khomeini Musalla, ahead of the 40th anniversary of the Islamic Revolution. Kaman 12 can take off from the runways which have minimum length of 400m, flying at a speed of 200km per hour with a 10-hour flight time. The domestic drone has an operating range of 1,000 km, with carrying capacity of 100 kg and a maximum weight of 450 kg on takeoff. The Iranian Shahed-171 stealth combat drone that carry 4 smart precision guided missiles or bombs. Iran had reverse engineered the US stealth RQ-170 and developed its own version called simorgh. 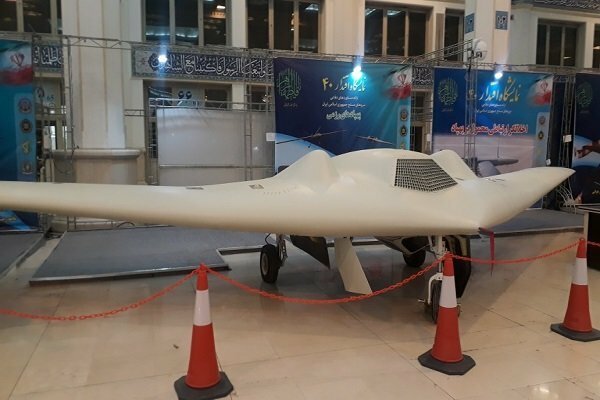 Iran then upgraded and made the recon drone into a combat drone with Iranian engines and improved stealth and electronics for a attack version and called it Shahed-171.